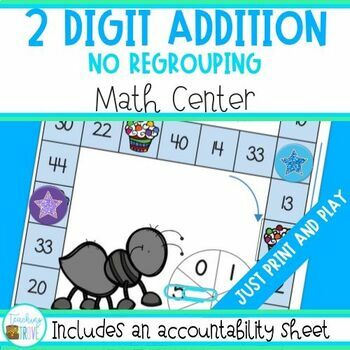 Adding 2 digit numbers without regrouping is the focus of this math center. 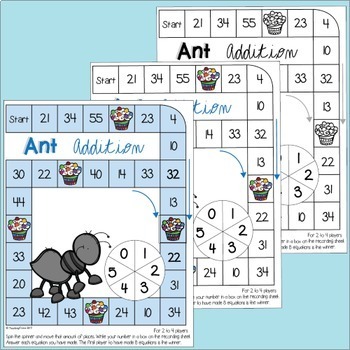 To play, players travel around the game board writing down the number they land on and making 2 digit equations. 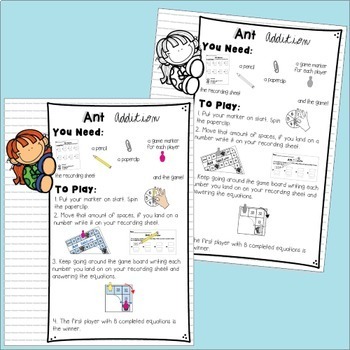 ♦ Consistent game design among all ‘Kiddie Capers’ and ‘Animal Antics’ centers to encourage independence. This game is also available from the 'Kiddie Capers’ range – only the graphics are different. To view the entire range of ‘Animal Antics' centers please click here. To view the whole ‘Kiddie Capers’ range please click here. Become a follower and take advantage of my Early Bird Specials, freebies and product launches Look for the green star near the top of any page within my store and click it to become a follower. You will then receive customized email updates about this store.